High quality of safety property. Sweep frequency up to 400 MHz. Overall metal shielded providing good protection from EMI noise. IEEE 802.3ab 1000BASE-T, 1000BASE-TX and legacy speeds. Marking Hyperline FUTP4-C6-SOLID-CMX-?? 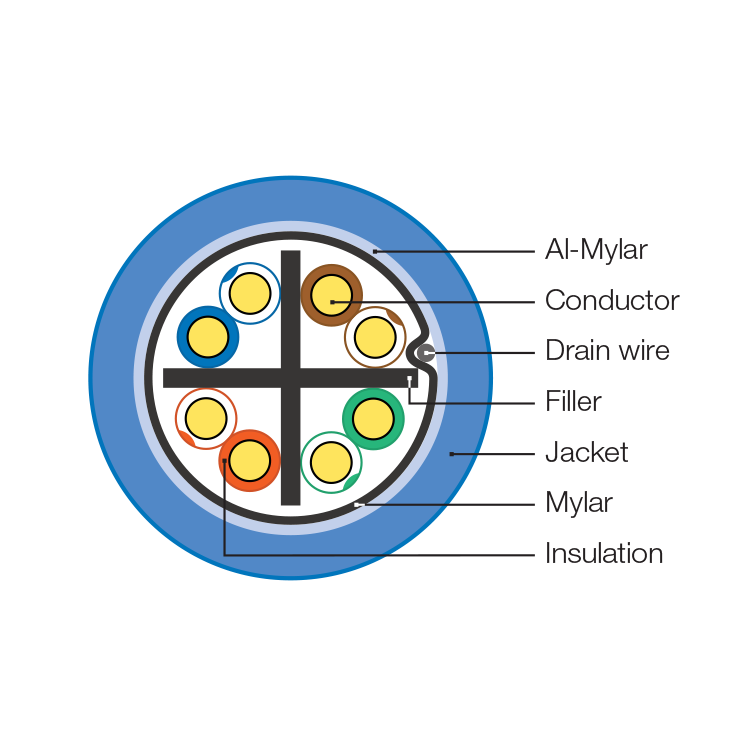 — E303448 F/UTP 4PR 23AWG C(UL)US CMX OUTDOOR —ETL VERIFIED TO ANSI/TIA-568-C.2 CAT 6 400MHz WW/YY XXXXFT-ANote 1: WW/YY is date code.